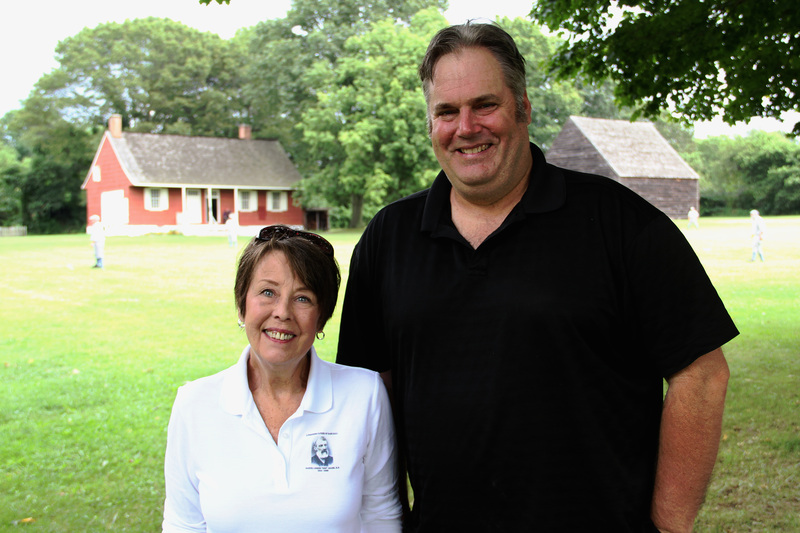 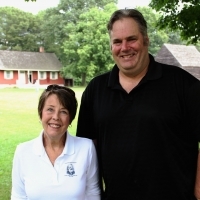 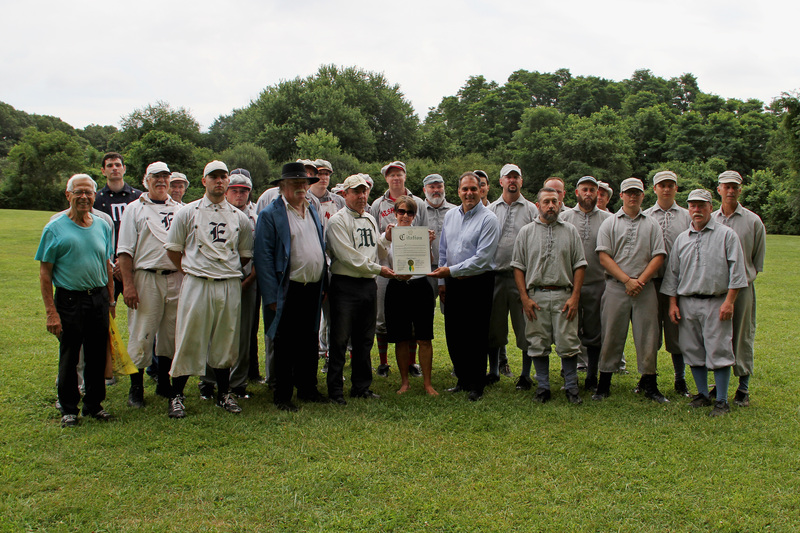 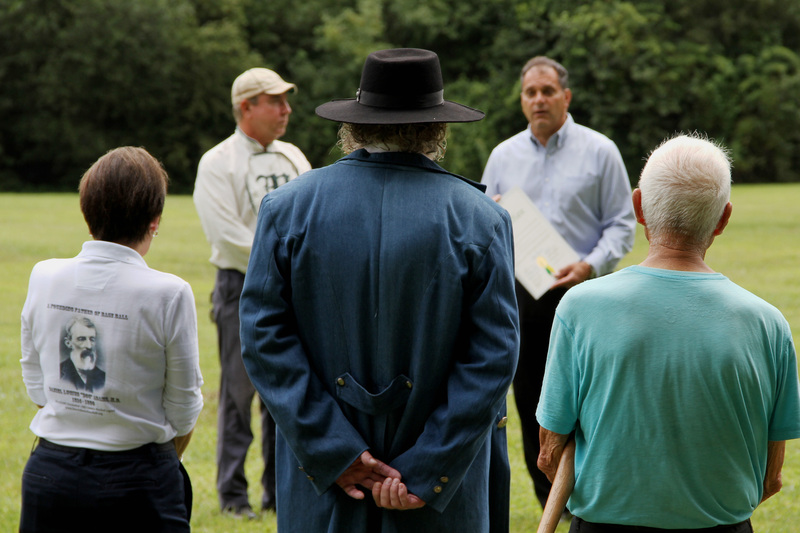 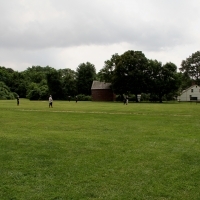 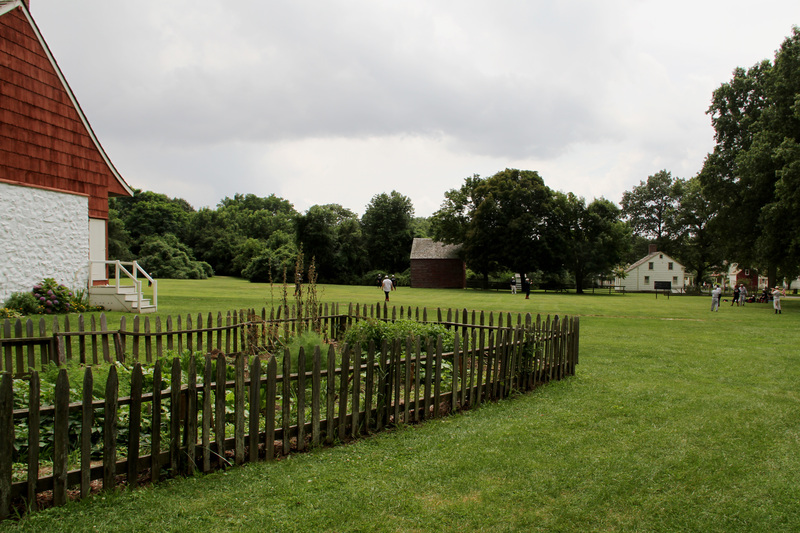 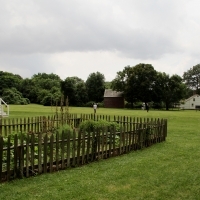 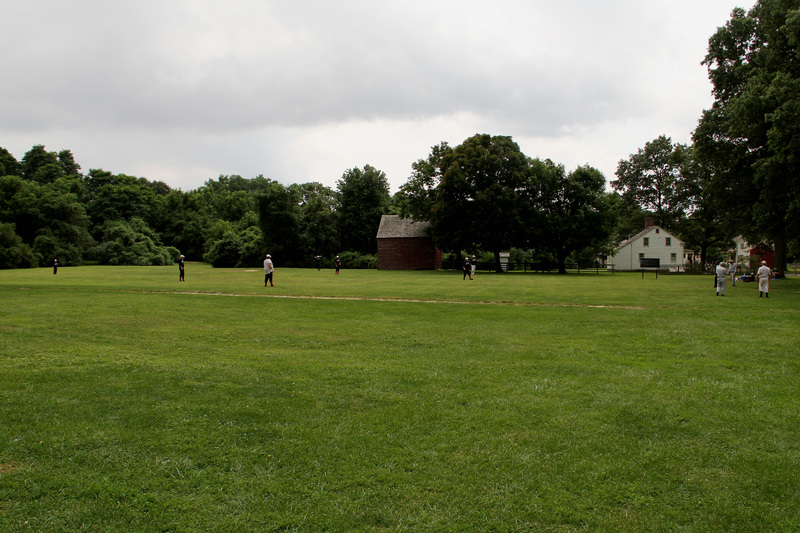 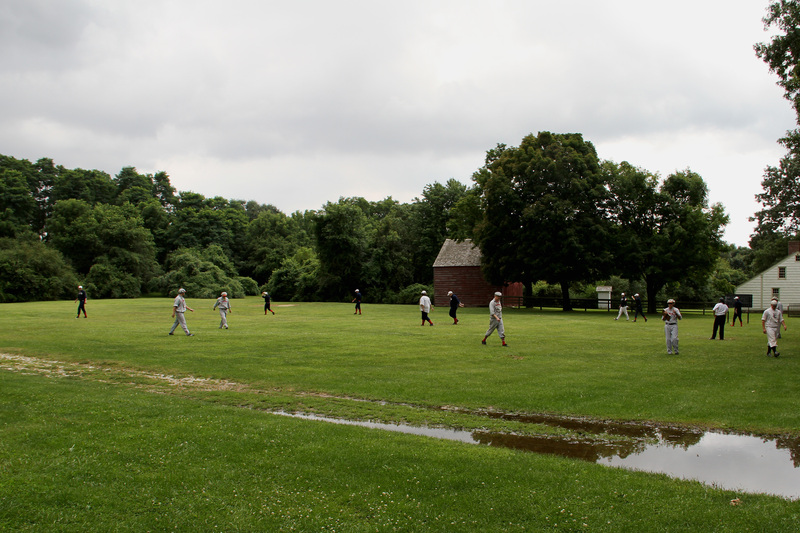 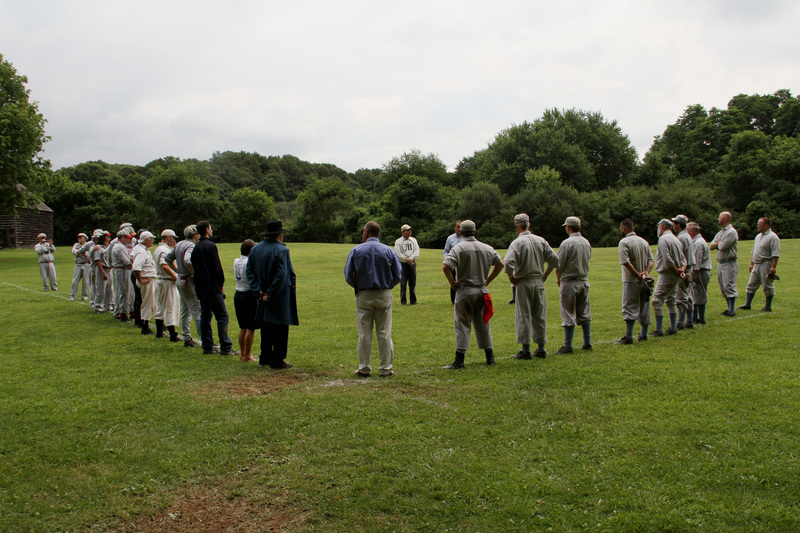 The 20th Annual Doc Adams Old Time Base Ball Festival took place on August 5 & 6 at Old Bethpage Village Restoration. 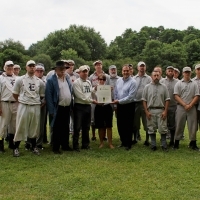 In 2015, this longest running annual vintage base ball festival was renamed in honor of Daniel Lucius ‘Doc’ Adams. 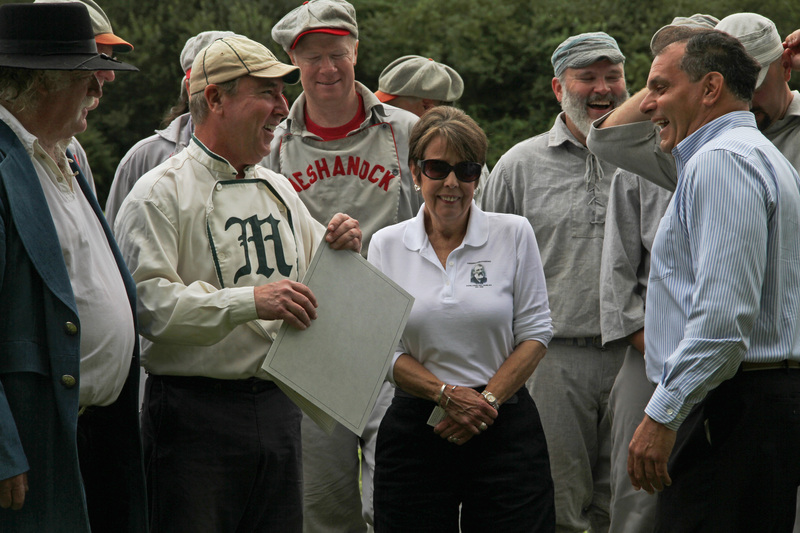 This year’s festival once again lived up its reputation as a must for baseball fans, history buffs, and anyone looking for a a day of outdoor fun. 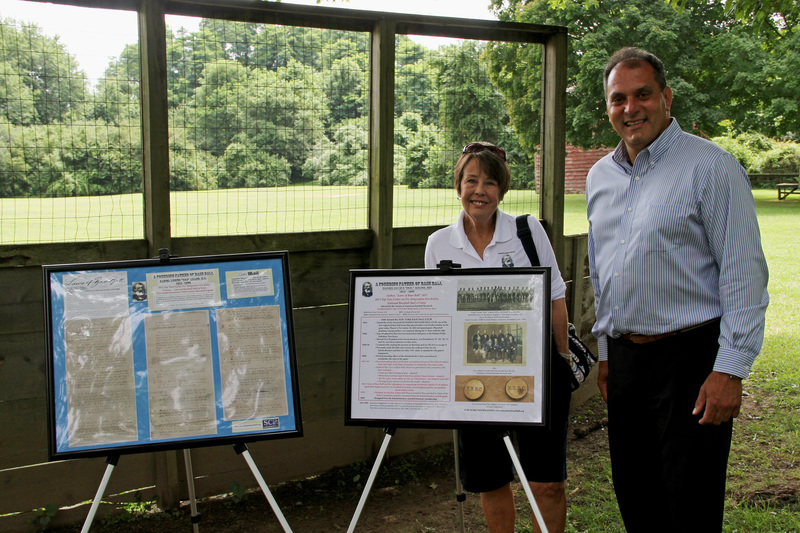 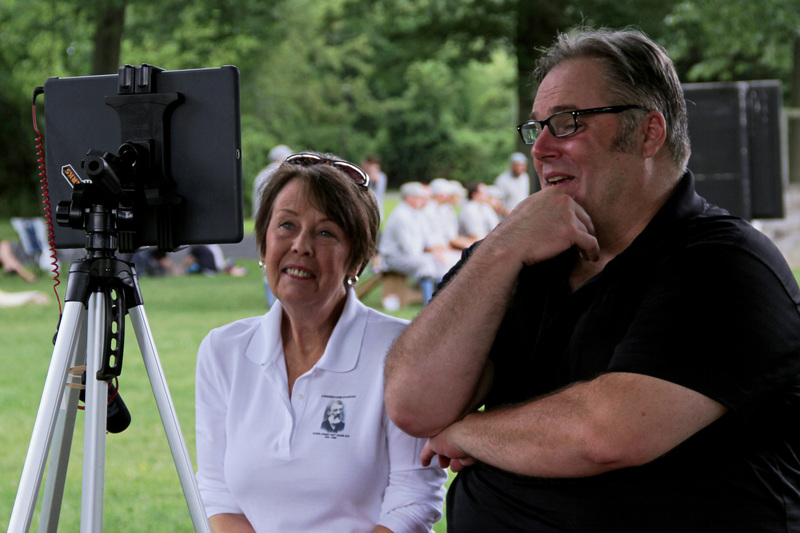 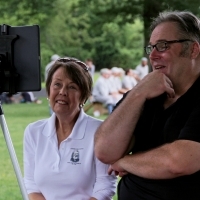 Marjorie Adams once again was on-hand this year as she continued to educate festival attendees about her great-grandfather, Doc Adams, the long-overlooked founding father of the National Pastime. 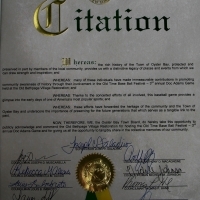 Hopefully, he will be recognized and enshrined in the National Baseball Hall of Fame in 2021 (next election takes place in 2020). 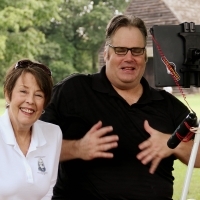 On Saturday, Tom “Big Bat” Fesolowich, President of the Mutual Base Ball Club of New York interviewed Marjorie on Facebook Live. 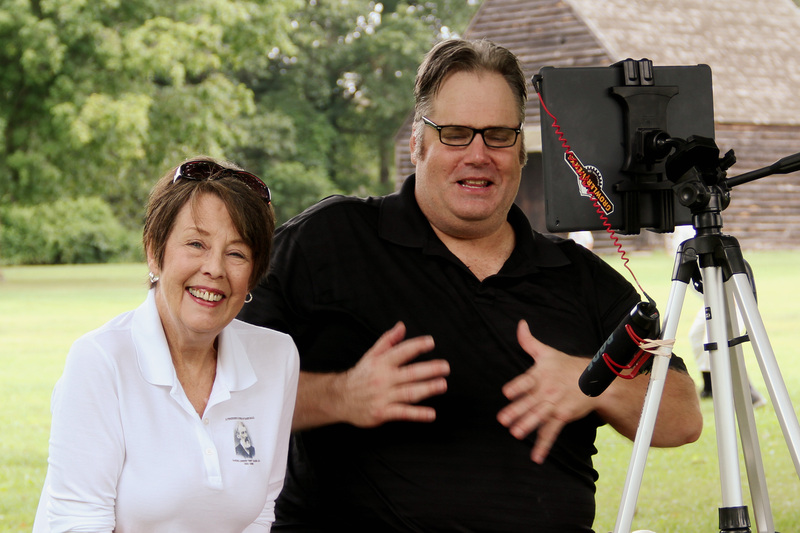 You can see a replay of that interview here. 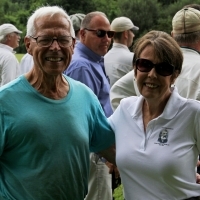 This year’s 20th installment was another special occasion. 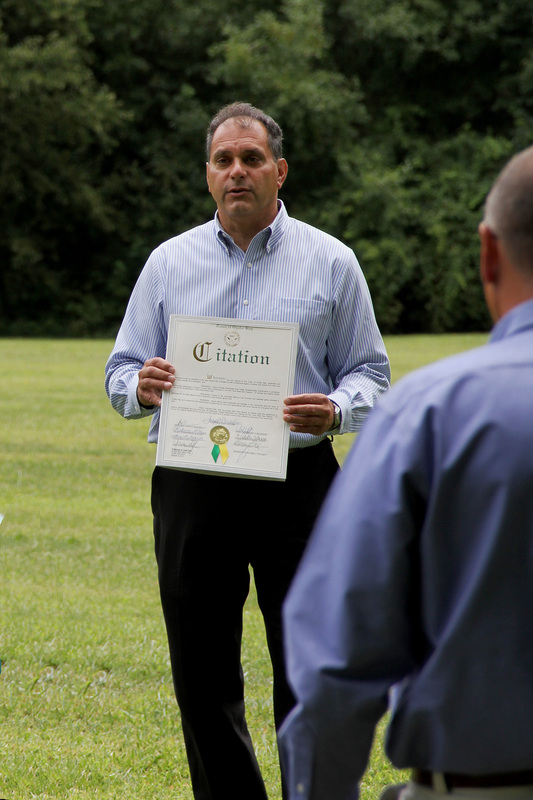 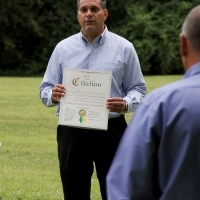 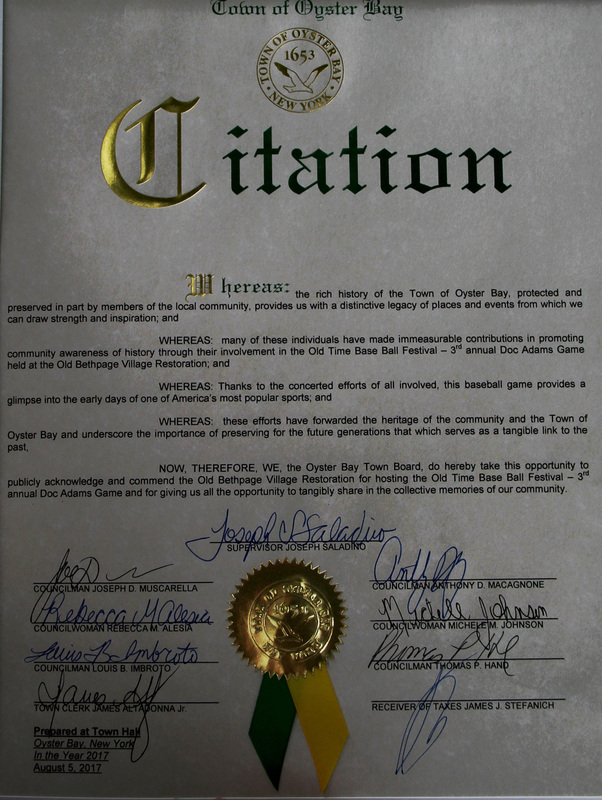 Joseph S. Saladino, supervisor of the Town of Oyster Bay, presented a Citation recognizing the Doc Adams Old Time Base Ball Festival. 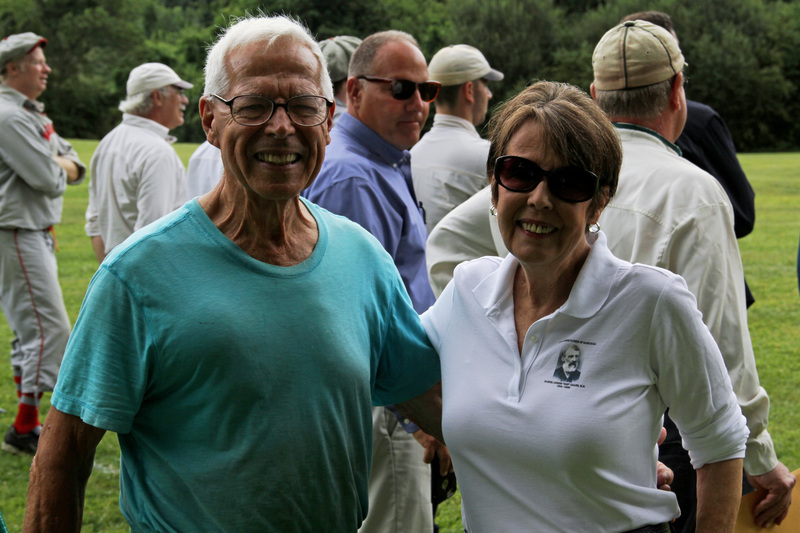 Another surprise was a visit by Michael Morrongiello. 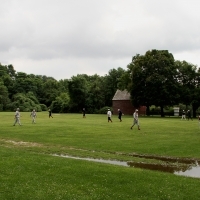 He played in the New York Yankees organization from 1949-1951. 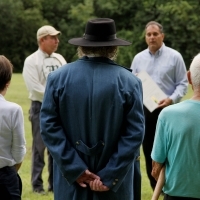 He was a charming gentleman who shared some wonderful stories. 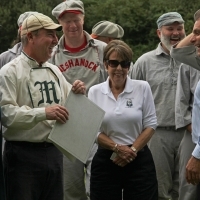 He even ‘suited up’ and joined in one of the games.